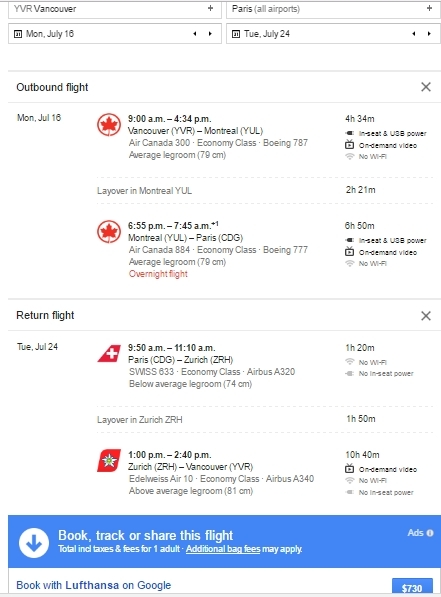 Lufthansa, SWISS, and Air Canada are showing some well priced flights in the peak summer months of July and August 2018 for $729 to $733 CAD roundtrip including taxes. 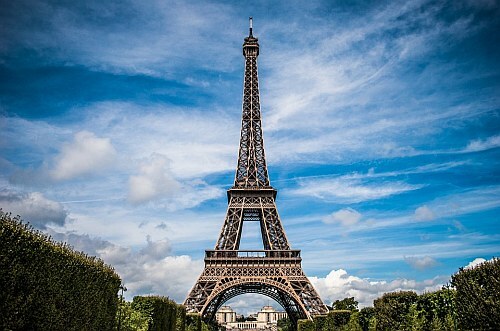 One Response to "Vancouver to Paris, France - $729 CAD roundtrip including taxes (July and August travel)"
Thanks Chris, - I was waiting or something like this to pop up for the summer. Managed to book the AC direct flights for not much more than the one stop options..